Much like an air conditioner heat pumps transfer heat from one place to another. Air source heat pumps extract heat from outside your home and transfer it inside the home. Heat can be extracted from outside your home even if temperatures are below zero. 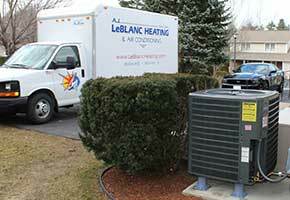 Heat pumps are up to 300 percent efficient because they do not create heat they transfer it. 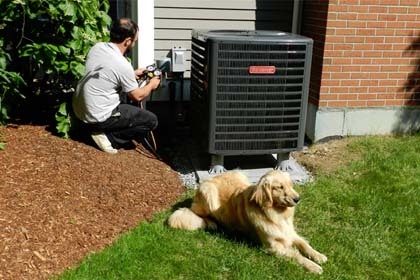 Heat pumps can also run as air conditioners and cool during the summer. Central heat pump systems take the place of a central air conditioning systems. Central heat pump systems require ductwork and either a furnace or an air handler to distribute air over an indoor coil. If your home already has air conditioning you would be a good candidate for a central heat pump system. Central heat pump systems can cut home heating costs up to 40 percent while offering the air conditioning you have grown to love. 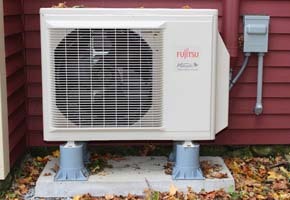 Ductless mini split heat pumps, as the name suggests, do not require ductwork. Ductless mini split heat pumps are extremely efficient because they do not experience duct loses. 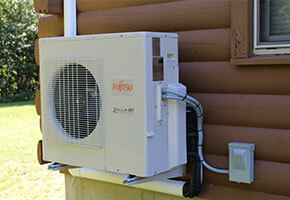 Ductless mini-split heat pumps offer multi-zoned comfort with little modification to your home's current structure. Mini split heat pumps are perfect for homes with existing boilers. Improve your home's efficiency and gain air conditioning. Today, homeowners can also heat their home with an air conditioner. Confused? It will make more sense if you think of your air conditioner as a giant refrigerator. If you feel the vent at the bottom of your refrigerator your hand will be warm, well where is the heat coming from? The heat is actually being extracted from inside your refrigerator. What does this all mean? Heat can be extracted from outside of your home and not just in the summer months but all year round, even when temperatures hit zero degrees. How does it work? Heat pumps reverse the A/C refrigerant processes so that the indoor coil found over your homes furnace or air handler becomes hot thus heating your home, while the outside condenser releases cold air to the unconditioned space outside. Why would you want a heat pump, you already have forced hot water or forced hot air? 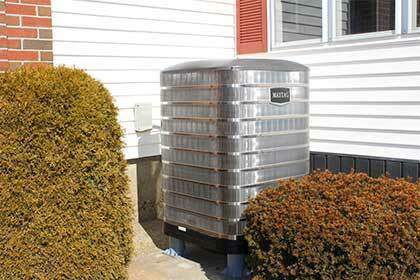 Heat pumps can reduce your dependency on expensive gas and oil. An increase in your utility bill will be noticed but the savings on oil or gas will easily cover the increase in your utility. In fact if your already in the market for an air conditioner a heat pump will pay the difference in cost within two years of operation. 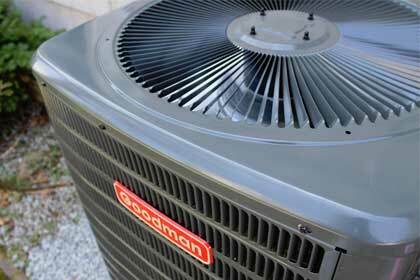 Yearly maintenance is required for all the air conditioning equipment that we install. Our service department is staffed with NATE certified technicians who handle maintenance. NATE is the leading certification program for technicians in the heating, ventilation, air conditioning and refrigeration (HVAC/R) industry and has the only test supported by the entire industry. Should any problem arise during our contracting of work performed, we are fully insured.